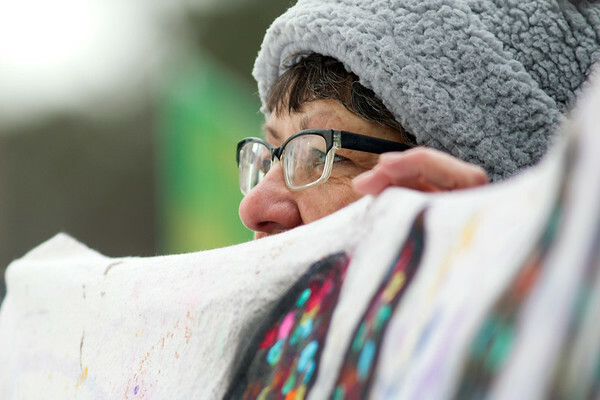 Maggie Singer holds a banner up while standing on the sidewalk outside Traverse City Central High School on Wednesday. Singer was one of the community members who showed up to support the students on their walkout from class, part of a national movement protesting inaction on gun control. "We're here for the kids," said Singer. "It's not about us, it's about the kids." Singer and other members of the community weren't allowed on campus but wanted to show their support for the movement.